This week I’ve been busy painting the third of my St Ives Dinghies series, ‘St Ives Dinghies III’ which you can see on the website now. This will be one of the paintings that I will be taking over to Wivenhoe next week – I think there’ll be nine altogether – for Pru and Rosie, at the Sentinel Gallery, to choose from, for their March exhibition. Meanwhile, the first in that series, has gone to seek it’s fortune at the Royal Academy. Well, not exactly, not yet, as the first round for the Summer Open Exhibition submission is just digital! I will know by 13th March (a Friday – is this ominous??) whether it has got through the first round, and if it has I will then need to take it up to the RA for them to look at in reality. I first sent in two years ago in 2013 – ‘Big Blue Dinghy’ was thrown out straight away! Then last year I entered ‘Track down to Bottengoms Farm’, and ‘Two Thames Barges, Rudder and Bow’. ‘Track’ got thrown out straight away, but I was thrilled that ‘Two Thames Barges’ got through to the next stage . . . . . and was then thrown out! So this year I’m keeping everything crossed that I might get one stage further. If I get to the stage of having to take it in, I am going to have the painting framed in a different way from my standard framing practice, with the board ‘floating’ in a shallow box frame that will be glazed – Graham thinks the judges might like this better!! But for now, it’s just a question of waiting . . . . . Snow seems to be heading down the country towards us – some snow paintings might soon be possible!! I thought I had a pretty full year planned with exhibitions. And then, on Tuesday, I had an email from Rosie, who is helping Pru Green run the Sentinel Gallery (see previous post) asking me if I would like to exhibit some paintings in their opening exhibition in March! Well, of course, I said yes, I would love to, whilst counting up in my head the work that I had available – probably just enough! – and thinking that I would have to work very hard in the coming weeks to make sure I had enough work for Lexden Arts Festival as well!! Then, yesterday afternoon, I had a phone call from Michelle, who runs the Naze Tower Gallery at Walton on the Naze, inviting me to show this year in either her Spring, Summer, or Autumn exhibition – she had seen my work in the Open Studios brochure. 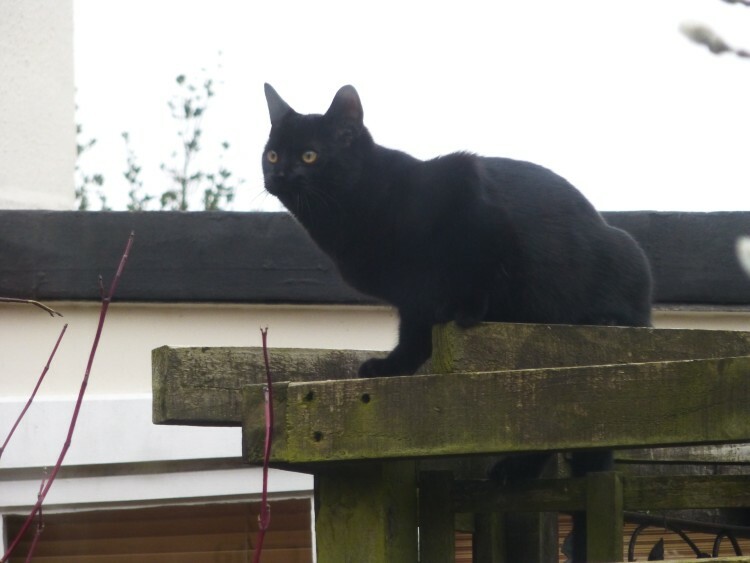 I was delighted – but dismayed! – as I knew I couldn’t possibly get enough work together with everything else I had already committed to doing. I thought that might be the end of the conversation, but Michelle suggested that we go for next year instead , and so I have chosen the Summer Exhibition in 2016 which will run from late June to early September. And Michelle has asked for TEN paintings. I’d better get busy! Just heading out to my studio to finish ‘From my January garden’, and then I’m starting another dinghy painting . . . . Yesterday morning Graham and I went down to Wivenhoe to join the crowd of other artists invited to have a look round Pru Green’s new purpose built gallery, The Sentinel Gallery. For those of you who don’t know her work, she produces vibrantly coloured ceramics, which are both beautiful and practical. Her new gallery, in Chapel Road, is near the railway bridge and station at Wivenhoe. It incorporates a lovely big workroom/studio, with a kiln room, on one side of the entrance, and a beautiful gallery space on the other side, which is cleverly lit by a long inset roof lights as well as the usual gallery light track. The effect is a very bright and attractive display space, and I can’t wait to see it filled with art works when Pru opens for her first exhibition which will be in March. 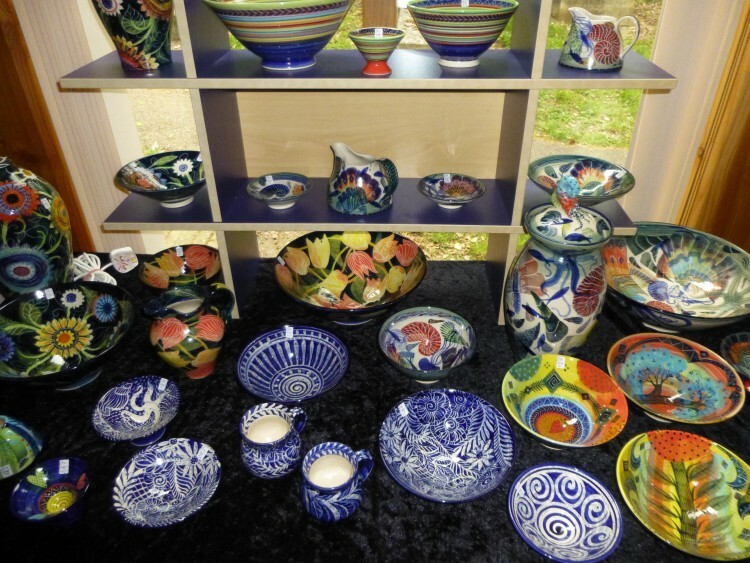 Pru will be exhibiting again at the Lexden Arts Festival which this year will run from 2nd – 9th May. We have now finalised all the details for this year’s Festival, so do have a look at the list of artists and the events on our website, www.lexdenartsfestival.org.uk. We have some more really good new artists showing with us this year, and I’m very much looking forward to meeting them all when I start doing my ‘studio visits’ next month in preparation for the Festival. I started my first little still life painting, ‘From my January garden,’ this afternoon. At the moment it looks terrible, so things can only get better!! I spent a lovely day in Cambridge yesterday, looking round the Botanic Gardens with my niece, Claire. It may seem an odd time of the year to visit such a place, but in fact it was full of beautiful winter flowering plants – and the scents were stunning! Winter sweet, Mahonia, Verbena Bodnantense, all filling the air with perfume, and drifts of snowdrops, and aconites just emerging. 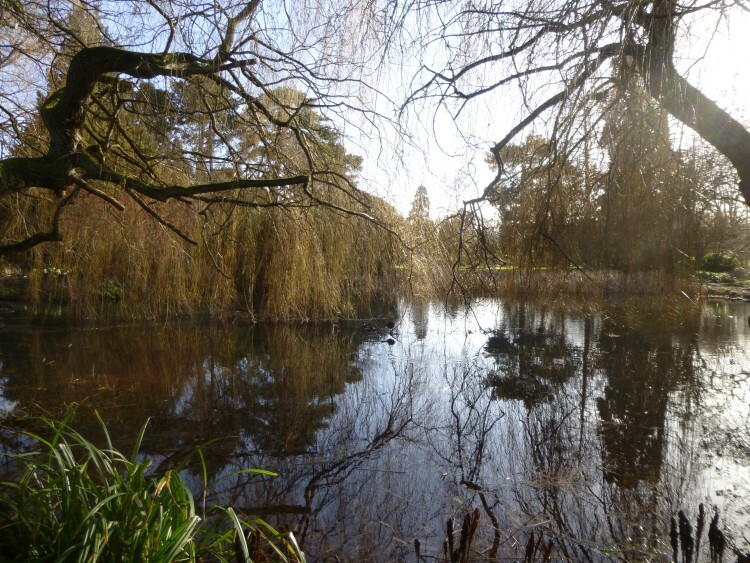 And winter sun slanting through huge trees, and lakes – and we were lucky enough to see a kingfisher! My new painting, which is a view across the bay from St Ives towards Godrevy Lighthouse, is a lovely one to be working on this grey, windy January day, as it is all turquoise sea, blue sky, and little boats – such a contrast! It takes me right back to my wonderful Cornwall trip in September. I sometimes think that the best stage of any painting is like this – a clean white canvas! – but this one, which I started on Saturday, is actually coming on rather well. There is a new painting on the website today, the first in the 2015 Gallery, which is number 2 in my ‘St Ives Dinghies’ series. I was standing on Smeaton Pier, looking down onto the dinghies in the shallow water below. I think there will be about another three, or possibly four in the series. Another new venture for the new year – as well as this blog and the limited edition canvas prints – will be some still life paintings. I’ve decided to try some small flower paintings – I used to love painting glass bottles, and jars, and haven’t done it for several years now. My idea is to do a little painting each month this year, very simply just a few flowers in a jam-jar, entitled ‘From my January garden’, ‘From my February garden’, ‘From my’ – well, you get the idea, I’m sure. I’m really looking forward to trying the first of these after I’ve finished the my current one. This is the photo that I wanted to publish yesterday! 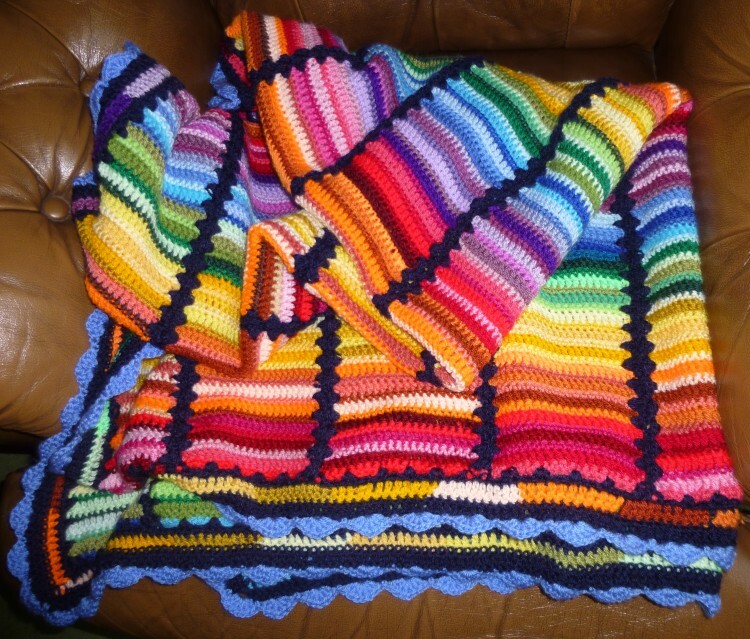 It is of the beautiful, SO colourful crochet blanket that my sister, Jill, made for my birthday. 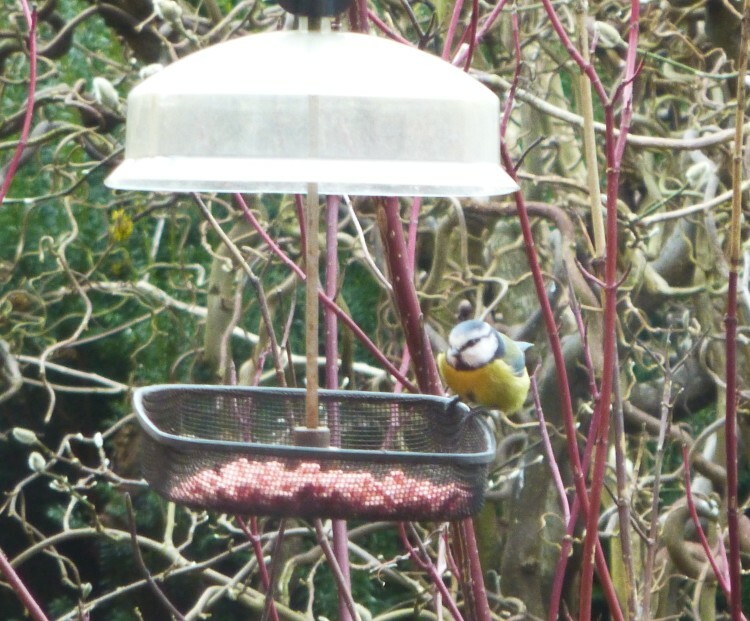 My First Blog Post – a BIG Birthday one! Hello from the Anvil Studio! I didn’t expect to get this off the ground so quickly, but the wonderfully clever John at Wheal Media Ltd has got everything updated in double quick time – so here I am! On 8th January – which just happens to be my birthday, and not just that, but one of those important birthdays which ends in a 0! I hope you like the look of the new site. It’s not that much different from the old one, although you will see the new Galleries are organised by when I painted the picture, rather than by the subject of the painting. 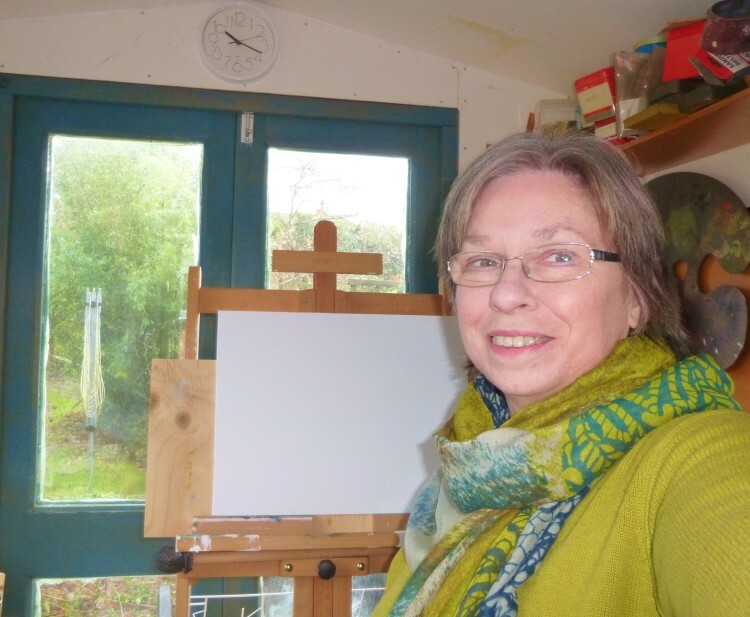 I hope soon to make a start on the 2015 gallery – I’m just starting a new painting, so watch out in about a week! I have lots planned for 2015! I’m really excited to have been invited to exhibit at Pru Green’s new purpose built gallery in Wivenhoe, The Sentinel Gallery. Graham and I are going to have a look round it on 18th. I’m also looking forward to exhibiting again at the Lexden Arts Festival, Haylett’s Gallery, and Geedon Gallery, and participating in Colchester Open Studios again with Lisa Cockrell. There is also another new venue that I’m finding out about . . . . Completely new ventures include – as well as the blog! 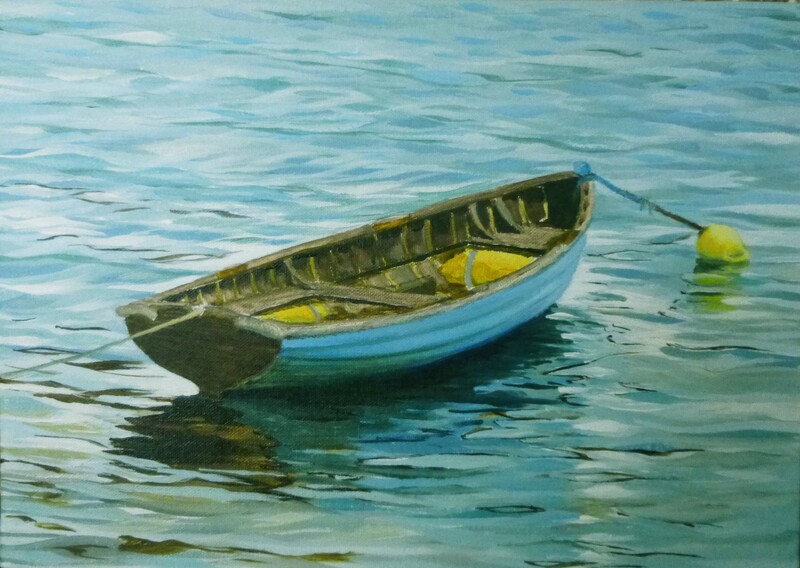 – launching a range of limited edition canvas prints of some of my most popular dinghy paintings, in February. They are a little smaller than the original paintings, but I’m delighted with the quality of the first few I have ordered. I’ve got to work out how they can be packaged, both for display and for posting, but then the first ones will go up on a new web page. ‘Blue Dinghy’, ‘Dinghy in the Sun’, ‘Dinghy on the Red Buoy’ and ‘Dinghy on the Edge’ will be the first up. Do you have any favourites amongst the dinghies that you’d like to see available? – let me know. Back soon! Have a happy Thursday.